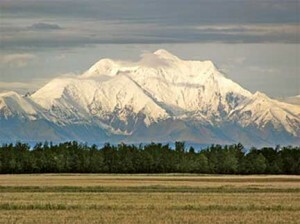 “A flower company in Alaska?” That’s my friends’ reaction when I talk about visiting the Alaska Flour Company (AFC). As I describe the mill, they realize their mistake. More than one has said, “A flour company in Alaska sounds pretty crazy.” It may sound crazy, but AFC and the man behind it are dead serious. 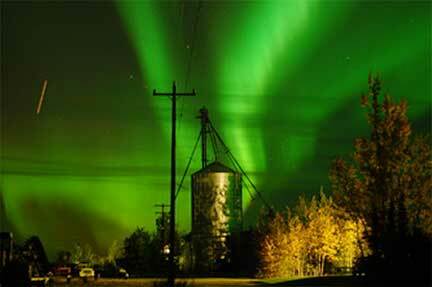 AFC is a grain mill and farm in Delta Junction, Alaska. It’s family owned and operated, with Bryce Wrigley at the helm. His parents, children, and grandchildren help keep things running smoothly. In 2011, Bryce visited flour mills in Utah and Idaho to learn from their operations. He returned to Alaska and opened his mill. 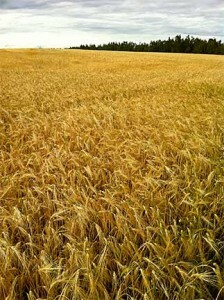 Now Bryce grows barley and mills it into barley flour and barley farina (he calls it “cream of barley”). Bryce and his family moved to Delta Junction from Idaho in 1983. 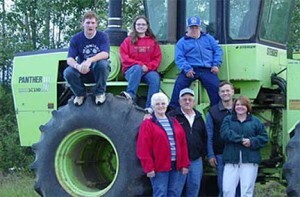 They had a successful farm in Idaho, selling crops to Del Monte, but needed expansion room to support a growing family. Before opening the mill, Bryce had a simple farm, one of many in Delta, and one of about 600 in Alaska. He grew barley for animal feed; a different variety than he grows now. Bryce didn’t set out to start a new business. He was nearing retirement. 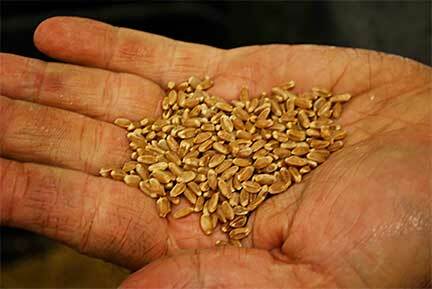 When the Alaska market for feed barley bottomed out, he got interested in creating a new market for Alaska grains. He also wanted a sustainable business to pass on to his children and grandchildren. Bryce decided to change tactics: “Instead of taking pieces of the same pie, I decided to expand the pie.” He concluded, “Alaska needed a flour mill” and focused on developing one. He first tried to talk other farmers into starting a mill where he could sell his grain. Their lack of interest became his opportunity. 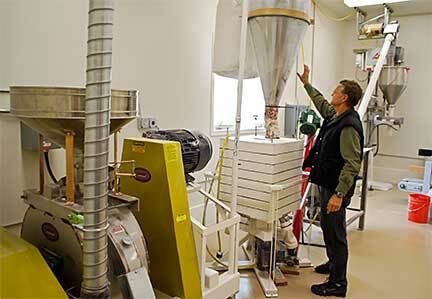 Part of Bryce’s motivation for developing an Alaska flour mill is his passionate interest in Alaska’s food security. He said we rely too much on Outside for our food supply and are too dependent on a precarious transportation system. Owning a mill has given Bryce a new purpose in life. He loves farming, being on the tractor and working his land, but now he feels he has a larger role. He’s helping promote local food sources, and doing his part to decrease Alaska’s reliance on imported food. “Barley is not as well known in America as it is in other parts of the world,” Bryce said, “and it’s very nutritious.” Used as food for thousands of years, barley is a powerhouse whole grain. It’s high in heart-healthy soluble and insoluble fibers, packed with important vitamins and minerals, and low in fat. Barley is also low in gluten, and may be eaten by some who are gluten-intolerant. Bryce said his gluten-intolerant daughter-in-law is able to eat food containing barley flour. If you’ve never used barley flour, it’s worth trying. Barley flour can be directly substituted for all-purpose or whole-wheat flour in quick bread recipes. To get barley yeast breads to rise properly, add 1 tablespoon vital wheat gluten for every cup of barley flour. Another option is to combine flours; equal amounts of whole wheat, all purpose, and barley flours work well together, creating a good rise and good flavor. When using barley flour, be careful not to overcook your food. Because of its high fiber content, barley flour holds more moisture than other flours. It’s tempting to increase the baking time to dry out baked goods made with barley. This isn’t a good idea, particularly because barley-based treats firm up as they cool. Accept that whatever is baked with barley flour will be moister than the same baked goods made with wheat flour. This is a good thing. 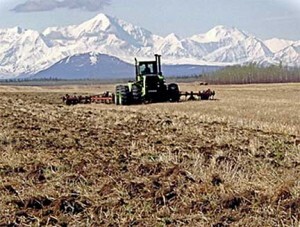 “From a food security standpoint, it makes sense to raise barley because it’s more reliably grown in Alaska,” said Bryce. He also grows wheat, but because Delta’s early frosts halt wheat’s carbohydrate production, hasn’t yet been able to market it. Bryce is considering expanding his operation to include oats and buckwheat. Bryce chuckled when I called him the Alaska version of Bob Moore, of Bob’s Red Mill fame, but I was serious. Bryce has the vision, passion, desire, and know-how. All he needs now is for Alaskans to buy his product. Sometimes all of us mindlessly pass by “Alaska Grown” labels. 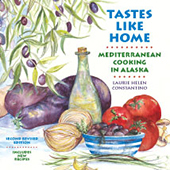 Each label, however, represents an Alaska farm that’s trying to create a new market or niche in the local food scene. For businesses like Bryce’s to succeed, Alaskans must think twice about purchasing products from Outside when there is an available local alternative. 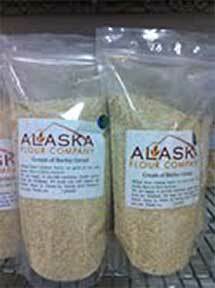 AFC’s barley flour and cream of barley are available at select locations throughout Alaska. More locations are coming soon; check the AFC website or its Facebook page for updates. Fairbanks and Mat-Su School Districts have already begun using barley flour in their school lunch programs. Jan Wrigley, Bryce’s wife, shared her favorite barley blueberry muffin recipe with us. I’ve made it several times and it’s fantastic. She must love it, too, because she called to ask for the recipe when she forgot where she put it. NOTE: Bryce Wrigley gave us barley flour to use for developing and testing recipes. The giveaway is 5 pounds of Alaska Flour Company barley flour and 2 pounds of Alaska Flour Company cream of barley. 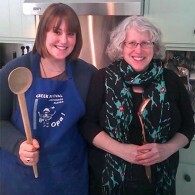 Enter the Barley Flour and Cream of Barley Cereal Giveaway. Note : The deadline for entries is noon (12:00 pm) Alaska time on October 10, 2012.